One book, two books, three books, more!! Any of you who have been following my blog for a while now will know I'm addicted to buying picture books. 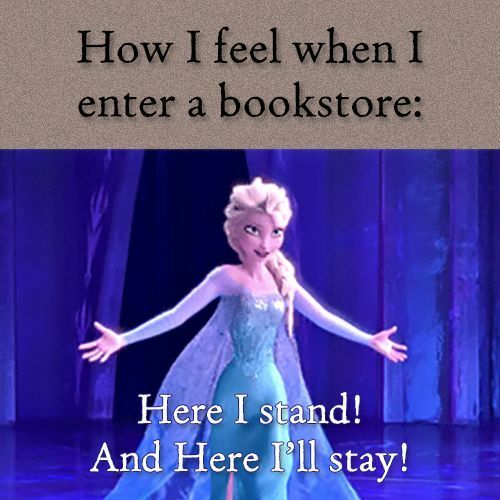 Between The Book People and any bookshop I pass on my travels, it's ridiculous! But, sure, there's worse habits to have! I get asked a lot about books and ways to incorporate them so I thought I'd best share these three gorgeous picture books I picked up last week. Have you any little culprits who play the 'I'm bored' card? Well this might be the story for them. 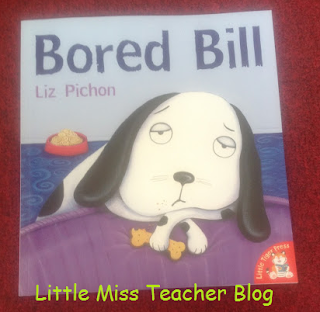 Bored Bill the dog is miserable and mopey until he ends up in space and suddenly realises that life at home wasn't so boring after all! 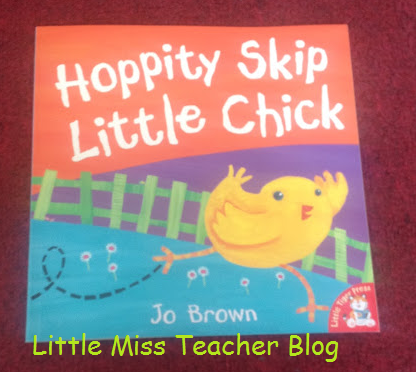 'Hoppity Skip Little Chick' is literally adorable. The story follows a curious little chick on a lively adventure around his farmyard. If you have a farm theme at the moment or are learning about farmyard animals this story would tie in nicely. It could even be extended with some sequencing activities or mapping for SESE. 'Hungry Harry' went down a treat with my class. 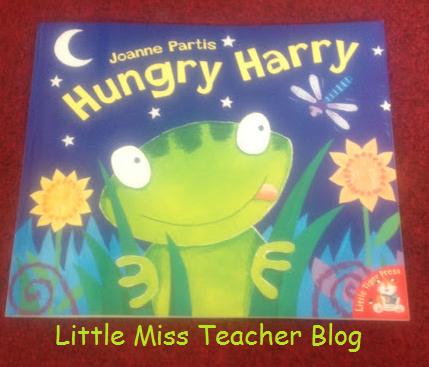 This is a lovely, little story about a little frog looking for his lunch but it's proving much harder than he expected. We're learning about frogs and this story tied in nicely. It also lead to some really great critical thinking opportunities for the children and some fabulous discussions. Have you used these texts in school before? Be sure to let me know! Writing proves a utterly courteous source of exploring ideas through wordings. Wording helps us in exploring our ideas through writing. We scrutinize our idea through wording.I want to buying essays online cheap. Our writing is enormously to your liking source of exploring idea through wording.